Baby Q not only launches my wife and I into the category of parents, but also into the sandwich generation (taking care of a younger and older generation in the same house). Time will tell what all this means with regards to photography, but I wanted to share the news with all my readers so they would know why the long spell of relative photographic silence. WELL! Congratulations Greg! Just remember this: You blink and you’re teaching them how to drive. It seems to happen that quickly. I just sent my first off to college and it seems like she was born just last week. congratulations! Great news! It does go quickly, but I seriously don’t expect your photography skills to languish, you’ll get really good at taking pictures of your latest edition! @Theron Conrey, I’m sure the photography skills won’t languish…just know that my focus of subjects will change. Make sure you don’t let me go to overboard with the just baby pics! 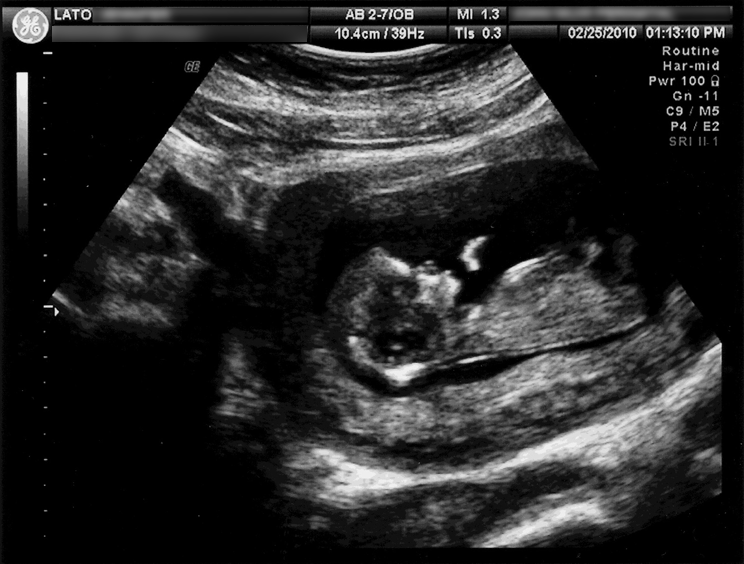 Awwww, my first glimpse of my niece or nephew. Hope Jen is feeling good, especially since she is now in her 2nd trimester. I’ve known about this for months, but never congratulated you formally! Remember, don’t let them out of the cage until they learn to pee on the newspaper.